Neal Adams liked to take on classic characters and render them in a style that was similar to the original artist. 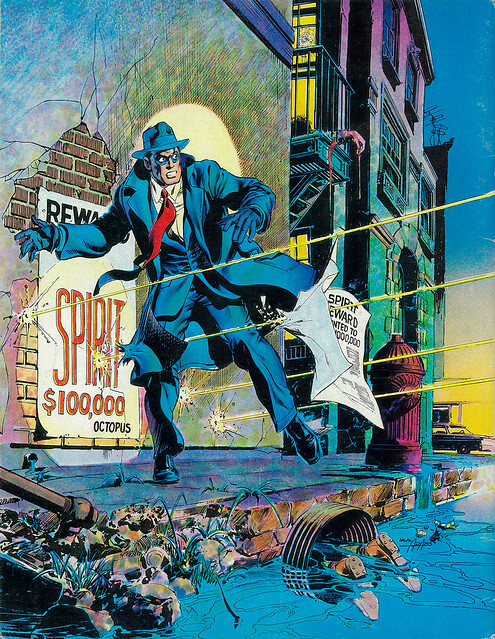 This illustration of Will Eisner’s The Spirit is a perfect example. A great depiction of the grime and mayhem in Central City, complete with floating newspapers and signs. I forget where this picture originally came from—the Spirit Jam, perhaps? Nuff Said!